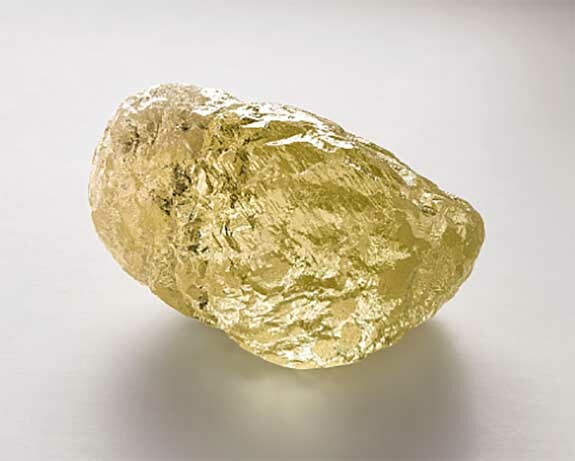 Despite its impressive dimensions, the Canadamark diamond rates only 25th on the all-time list of the world’s largest rough diamonds, just ahead of the Lesotho’s Letseng Star (550 carats) and just behind the Central African Republic’s Spirit of de Grisogono (587 carats). The top seven diamonds on the list are all from the continent of Africa, including the granddaddy of them all, the 3,106-carat Cullinan, which was discovered near Pretoria, South Africa, in 1905. 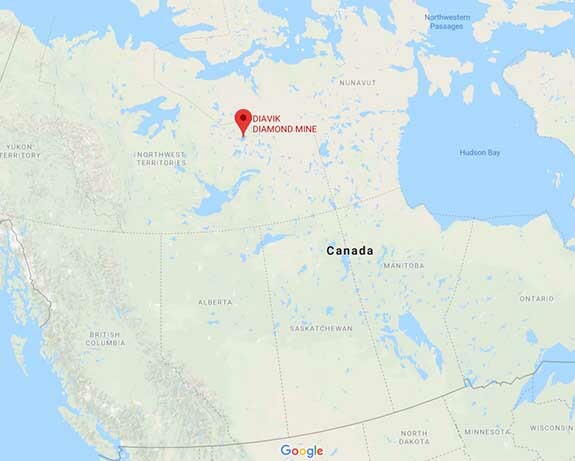 Due to the historic nature of the stone, Dominion Diamond Mines, which owns 40% of Diavik, reported that it will be selecting a partner in the coming weeks to cut and polish it. The task is so risky and complex that only a handful of master cutters are capable of handling the assignment. Dominion expects to achieve a “significant” main stone once the diamond is polished. 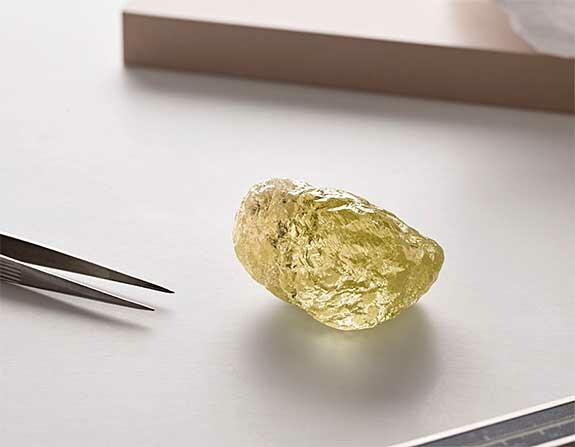 Measuring 33.74mm x 54.56mm, a diamond of this size is completely unexpected for this part of the world and marks a true milestone for diamond mining in North America and Canadamark diamonds overall, the company said in a statement.